Trust Valley Insulation LLC with your next insulation job. We have the years of experience and accreditations which speak to our skill and dedication. Fill out a quote request or give us your insulation contractor's today. At Valley Insulation LLC, we are committed to providing the best possible insulation services, customized for each client to conserve energy and save money over the long term. 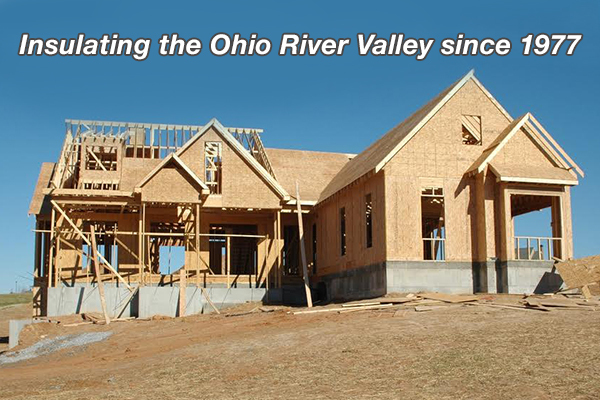 With over 40 years of experience, we serve Cincinnati, Lawrenceburg, Harrison, Ross, Cleves, Hebron, Newport, Covington, Independence, Oxford and areas throughout Ohio, Indiana, and Kentucky. Our experienced and professional staff offers highly personal service to each client. We provide a variety of insulations to suit whatever space or project you are working on. Read on to learn who we are, what services we offer, and what accreditations and certifications we have to show for our dedication to quality work. Our owner and operator, Steve Jacob, has been running Valley Insulation LLC since May of 1977, so he’s seen a thing or two when it comes to insulation. He has watched the industry evolve, and he brings to the business the kind of skill that can only be honed over years of dedicated work. 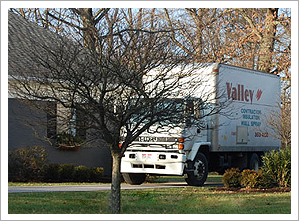 You can read about the rest of our talented Valley Insulation LLC team on our About page. Valley Insulation is happy to offer insulation for all kinds of spaces. We’ll help you install insulation in your new construction projects, your commercial spaces, or an existing home. Because each of these spaces may require different insulation installation strategies and materials, we offer a variety of insulation solutions. 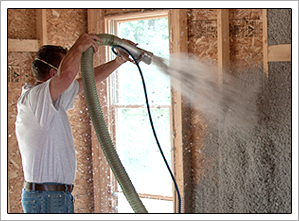 For new construction projects, we offer both blow-in cellulose insulation and fiberglass insulation. For existing home exterior wall insulation, we utilize what is called the “drill and blow method.” For this process we put a small hole in an existing wall and blow cellulose insulation into the space behind the drywall, leaving it as well-insulated as if it had been installed before the drywall was put into place. For commercial insulation in spaces like hotels, warehouses, work sheds and metal barns, we offer the Nu-Wool Wallseal System (an environmentally friendly, fire-, insect-, and mold-resistant cellulose insulation), Kraft faced and unfaced fiberglass, vinyl wrapped fiberglass, styrofoam insulation boards. We also offer insulation for sound dampening and insulation removal services. Our experience working with insulation solutions has allowed us numerous accreditations and certifications which signify not only our talent, but our focus on customer service and our dedication to environmentally responsible insulation services. Not only are we recognized by Energy Star, but we are also certified to install the Nu-Wool Wallseal System. This blow-in cellulose insulation is made of recycled paper and treated to make it resistant to fire, insects and pests, and mold growth. We are also recognized by the EPA for being lead-safe. 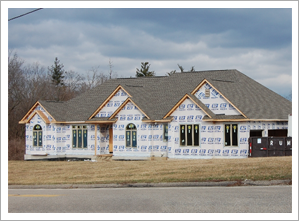 Valley Insulation LLC is also recognized by the Better Business Bureau, the Indiana Builders Association, and the Home Builders Association of Dearborn County.